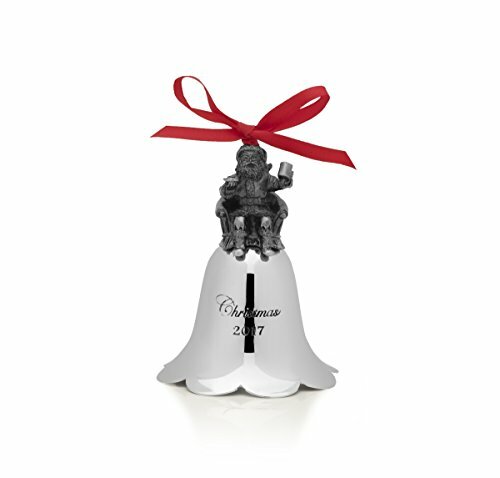 This Wallace Santa bell ornament is the 26th edition, and this year, Santa is joined by a whimsical snowman. The silver plated surface is embossed with “Christmas 2017,” features a red ribbon for hanging, and will make a beautiful adornment for any tree or mantelpiece. Measures approximately 4-1/4 inches tall.